Whatever your door or security hardware need, GLSH has the solution. We also have over 30 years of experience to install and maintain your hardware reliably. Reliable and safe automatic doors require expert installation. 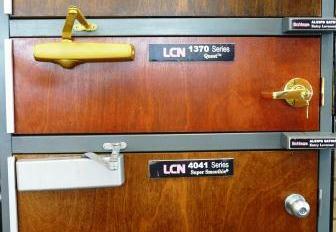 At Great Lakes Security Hardware, we have years of experience. Let us do it right the first time. Free standing or in wall, GLSH can install perfect safe to meet your security needs. Visit our showroom or request a quote.